Do you do a little dance when you eat a good meal? 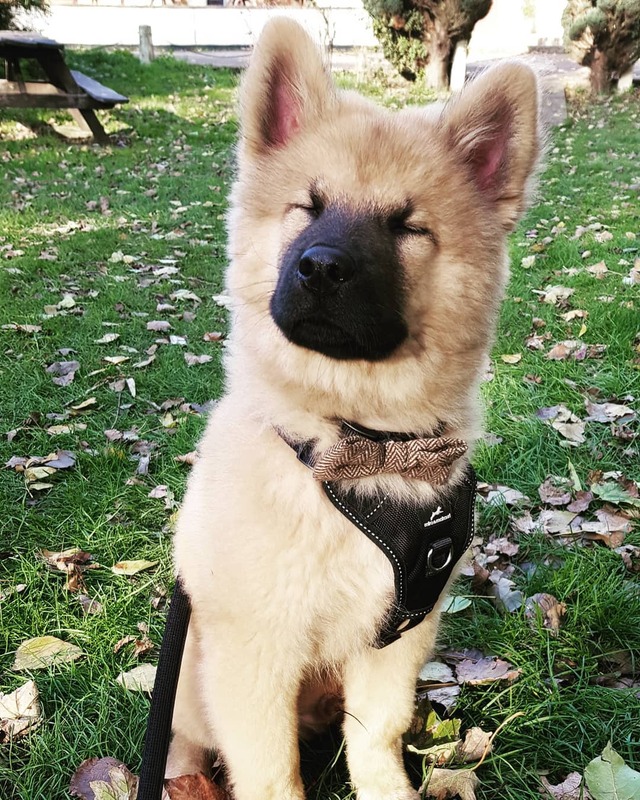 If so, Ender the Eurasier puppy just might be your spirit animal. Can you guess why this adorable dog has gone viral for his “tippy taps?” Ender is serious about food, and you’ll die laughing when you see his moves. Pavlov’s dog is a science experiment where a scientist conditioned his dog to associate the sound of a bell with eating. Eventually, the dog began to hungrily drool anytime he heard a bell ringing. Ender has changed the game! He is conditioning his owner to pull out the camera every time he’s about to be fed. For months, this cute little bear of a dog has been doing an adorable jig before he eats. He even dances for treats, and how could anyone say no to something so precious? His owner calls Ender’s mealtime ritual “tippy taps,” and the name certainly fits. Ender isn’t just adorable. He’s kind of exotic too. 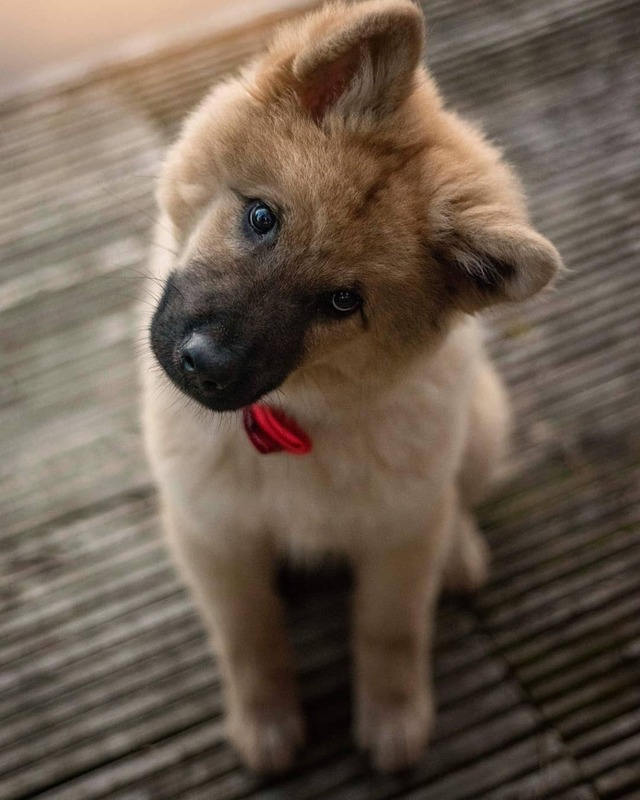 If you’ve never heard of a Eurasier puppy, you’re not alone. This breed has only been in existence for about 60 years, and it is still not very common. 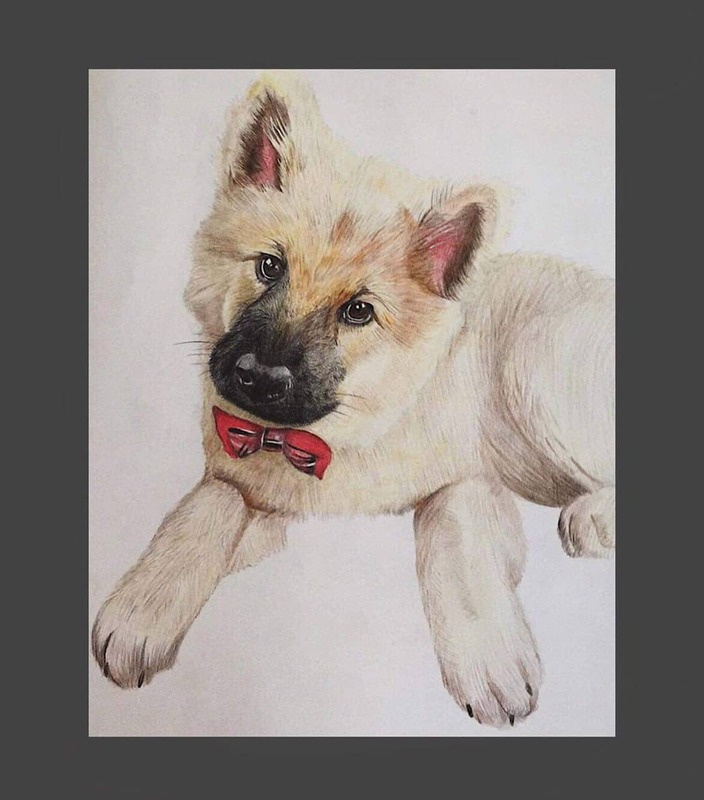 The breed started as a Chow Chow and Keeshond mix. Eventually, Eurasiers that are mixed with Samoyeds became officially accepted as purebred Eurasiers. Like their Chow Chow relatives, these puppies are very, very fluffy. They are medium-sized dogs, and the biggest ones are usually no more than 70 pounds. Here’s a fun fact! Some Eurasiers can have purple or black tounges. How cool is that? Although all dogs are family, Eurasiers really, really need to be a part of a family. These are incredibly social puppies, and it is unhealthy for them to be left alone all day in a kennel. These dogs are known for dutifully following their owners around the house. Eurasiers are really good with children. These dogs are super intelligent and very loyal. They don’t bark all the time, but they will bark very loudly if they think their family is in danger. Eurasiers have a very moderate temperament. They are almost like humans with different emotions in different situations. They love really hard, and they form close bonds with their humans. Although they are viewed as family dogs, they take a while to warm up to strangers. 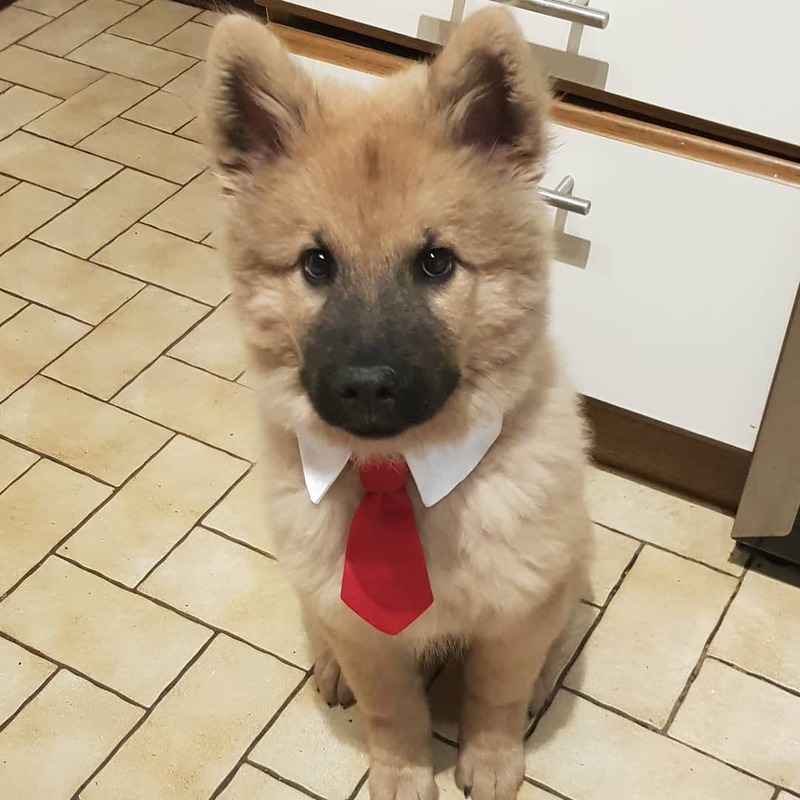 With that being said, a Eurasier who has warmed up to you will become your most loyal companion. They like their space, but they also love a good cuddle from time to time. 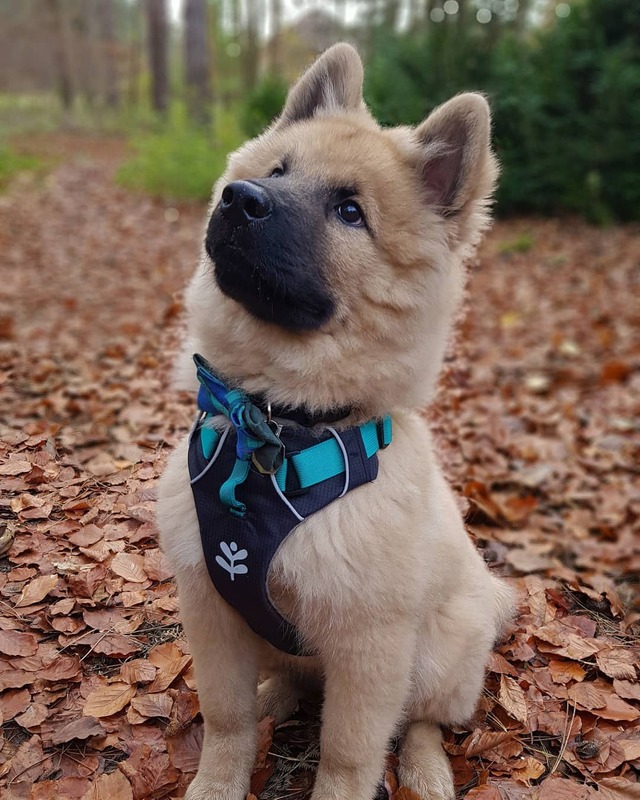 If Ender makes you want to go out and adopt a fluffy Eurasier of your own, you’re certainly not alone. He is only four months old, but he already has almost 30,000 fans on Instagram. Some of his especially talented fans are even making Ender art. Some puppies beg for food, but Ender dances for it. If you can’t get enough of Ender, follow him on Instagram.